The Decksaver DJS-1000 cover is custom made to a perfect fit, with the strong transparent polycarbonate material helping your Pioneer DJS-100 stay in excellent condition. 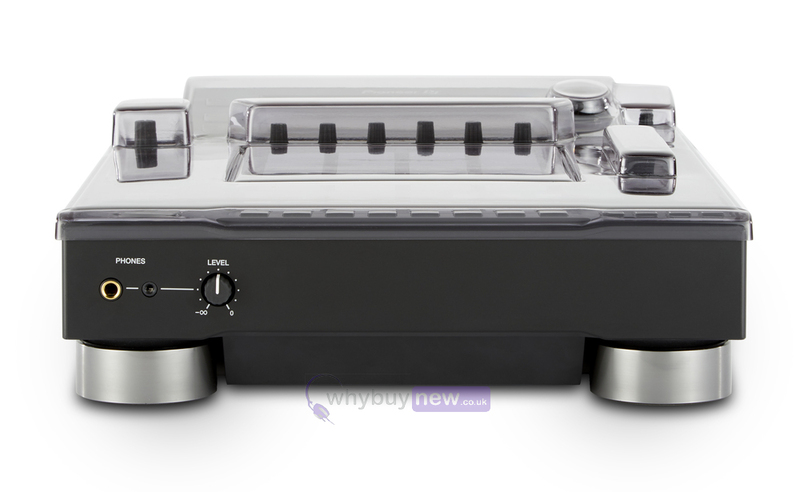 Whether you are a DJ unpacking and packing your DJS-1000 for gigs, or just have the Pioneer DJ-1000S at home then this cover is great for you! It will protect the pads, buttons and controls whilst keeping away the dust and leaving enough room to accommodate cables if needs be. 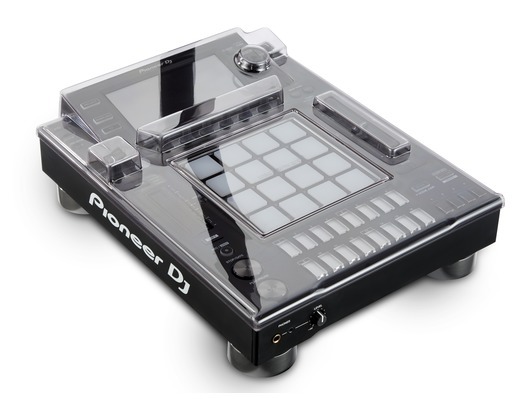 Designed and engineered in the UK for the Pioneer DJS-1000 standalone DJ sampler - trusted by professional DJs and clubs across the globe to preserve the lifespan of their equipment. 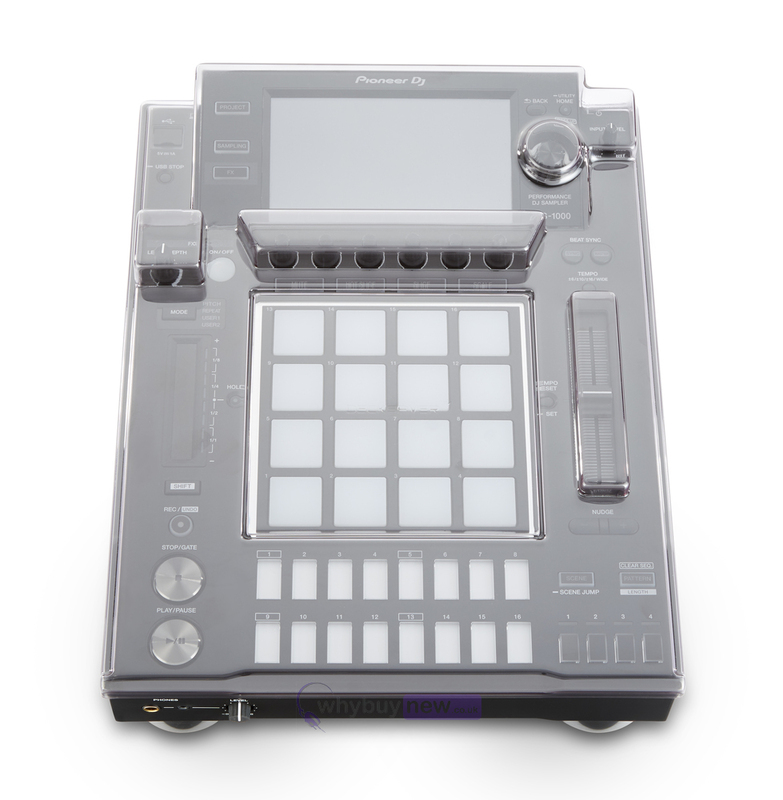 Custom made from super strong polycarbonate to protect all pads and controls in the booth and during transportation. Each Decksaver is custom moulded for a perfect fit whilst making allowances for cables - the DJS-1000 can sit ready for operation. From Pacha NYC to Space Ibiza and back again, the constant you'll find is Decksaver. 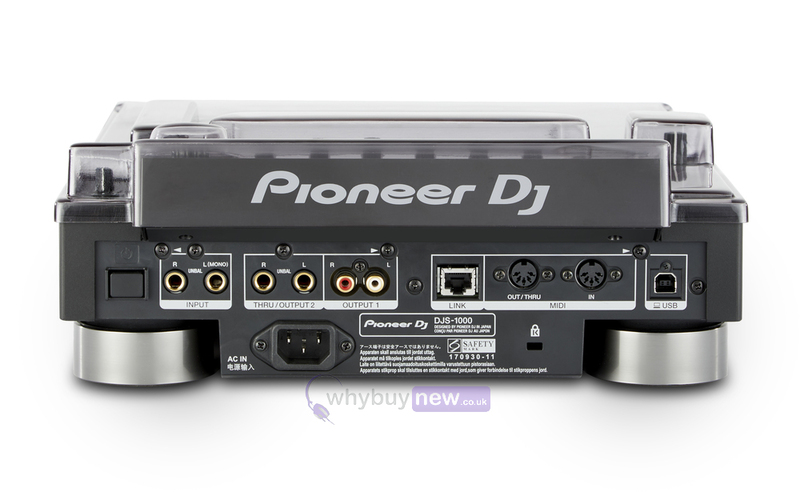 Please note the Pioneer DJ is NOT included. this is for the cover only!